Young Auburn Reed has her whole life worked out and a goal to set. On a hunt for a part time job she comes across and art studio, the unexpected happens. Owner of the studio Owen Gentry, she finds herself attracted to him. Auburn allowed their ‘friendship’ to turn into more than what it is. 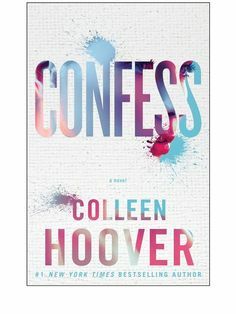 But when she comes to terms that he has untrustworthy confessions that could completely change what she thinks of him, it all turns around. Sci-fi and Romance mixed together has never been better!Jennifer has created such loveable and sassy characters, it’s pretty much impossible to put this book down. This series follows the story of human Katy Swartz, who just moved in to a new neighbourhood with her mum, and hot Luxen alien Daemon Black. They go through a series of avents including deadly Arum, a type of alien, who intend on taking over Earth. Katy grows to become very close to Daemons beautiful sister Dee as they try to defeat the Arum once and for all. This is just a basic review, but I’m not giving too much away because you have to read this yourself! Summary- Thomas is the seventh son of a seventh son. Meaning he can be the spooks apprentice, who’s basically the protector. Once the Spook retired Thomas will take over. But first, he must train and be prepared for any witch or bogart he may come across. What adventure will he outcome in the process? Find out with this one of a kind fantasy novel! You’ll be highly surprised with Thomas’s story of how he trains to be the Spooks apprentice. way of finding him a wife. Girls ages 16-20 apply and 35 of those get selecteld to compete for his heart. America doesn’t want to compete, because she’s all for Aspen. But since he’s a 6 and is struggling financially, he wants her to apply so she can have only the best. He’s afraid he won’t be able to supply for her if things get serious and you know MARRIAGE. So yes America finds herself actually competing for his royal heart although at the same time, still has feelings for Aspen! Yes this book is a romance novel, but don’t be fooled by the cover, there is quite some action when it comes to the Northern and Southern Rebels! Fine I won’t spoil it, so read this amazing book to find out what happens!!!! 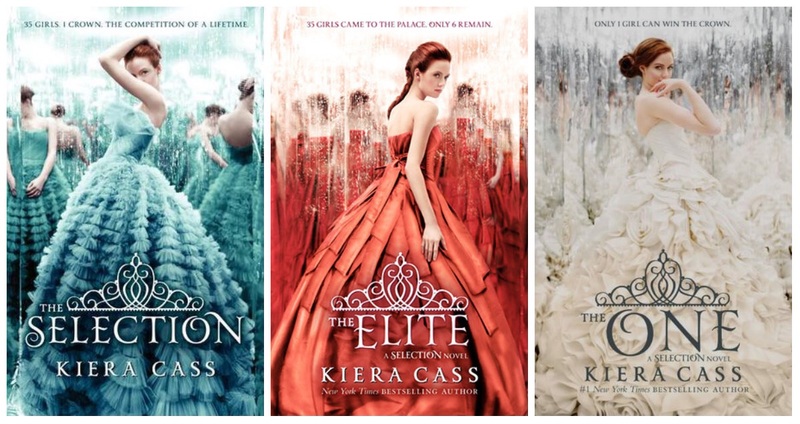 Btw it might be kinda useful to know it’s by Kiera Cass! There’s always those books you read, where you wish you could be so much like the protagonist and to be able to relate to them…Well, I am pleased to inform you that Cath, is one of the most relatable characters you will ever read about. To all you fan girls/ fanboys, you will find that Cath is your typical Fangirl, and as you read on, you’ll realise how relatable of a character she is, that you’re not the only fangirl/boy out there. When you can relate to a character in a book, I find that’s something special and the author has done an immensely good job in writing the novel, and captivating people around the world. Fangirl, is a novel about twins, Cath and Wren who have been inseperable since birth. Although as they grow older, they begin to…drift apart. The story although, bases around the life of young teenage Cath. Even thougb her and Wren are the best of sisters, they have chosen to be in different “cabins” as they attend college. They then start new lives with new friends. Despite this they do still keep in touch with one another. Cath majors in Elngish so she spends most of her time writing stories with her writing partner Nick,meshes not quite sure if she likes him or not. Then there’s Levi, tall handsome…and not so smart. She’s been helping him with school lately and they’re becoming good friends. But she’s staying reserved since Regan her roommate was his girlfriend a while ago. Meanwhile, Cath is having issues with her dad since he can’t take care of himself since their mum left when they were little. One day she gets a phone fall sayng her dad is extremely unwell. So she ditches school, misses exams to help out her dad. Wren or the other hand, thinks it’s no big deal, so stays at school, partying and so forth. Find out what happens with her and Levi, her dad and her missing mum by simply reading this wonderful novel! I would definetly withough hesitation rate it a 5/5 stars! You know that felling you get when you read the first page of a book and you to just think to yourself, woah ok this book is going to take me on a hell of a ride? Well this, is definetly one if those books. The first page absolutely draws you in like a black hole, and doesn’t let you escape. It’s one of the cutest, most fun books I’ve read! This book follows the storyline of Rosie and Alex, and their story of how they became the best of friends. They have always been by each other’s side through thick and thin since they were little! Then as they grow older, they slowly start to fade away from each other, and before they know it, emails they receive from one another, are extremely rare. They each start to move on with their lives and start fresh. Before Rosie knows it, she’s pregnant with a child she was not expecting at all. This, is the start of a life she never knew was coming. The fact that she was pregnant at 18 caused her lfe to turn upside down. But even though this child didn’t belong to Alex, her first love, she still had major feelings for him, but never showed it. As the chapters go on Alex marries and remarries, whilst he also cares deeply for Rosie, and she does for him. Read this book to fund out what happens to them, whether they end up together…or not. Despite the fact that this book is BEYOND amazing, the ending disappointed me. But…as sad of an ending it was, Cecelia aced it. She ended the book in a way that you think, Oh my goodness. What did I just read? I highly recommend this book for everyone and anyone even if you aren’t the biggest romance fan. This book is such a humorous one, and whilst sad in ways, makes you happy even. To conclude, I give this book a 4.5/5 stars! Well done Cecelia!